Darryl has a Master's Degree in Social Work from the University of Calgary, has been an Executive Director and Resource Development Consultant for various agencies throughout the city of Calgary. His career has encompassed 40+ years of clinical, community and management practice including government, non-government and community based organizations. During his tenure with the Alberta government, Darryl managed a very large Fund on behalf of Calgary’s most “at-risk” youth as a senior manager with Children’s Services. Prior to launching Legacy he had the opportunity of providing program research and evaluation services for a group of Anonymous Donors whose funds reached programs throughout Western Canada and targeted communities in the United States. Darryl has raised substantial funds for various charities over the past 13 years as well as providing leadership to The Legacy Children’s Foundation, an organization that he founded and one that he passionately believes in. Darryl is a certified Leadership Trainer, through Phi Theta Kappa in the United States and for 4 years he taught Leadership Development through Mount Royal College, for both the profit and not for profit sectors. Darryl has been instrumental in creating and managing the Gift of Music Programs in association with Legacy and he wholeheartedly believes that the way to tackle many of society's social ills is through community based, early intervention and preventative programming. Russell started his career at the age of 9 when he would help the local milkman deliver milk to homes for a dollar a day, cut lawns for residents of his community and at 12 years of age deliver newspapers to the same community. At 14 he began his career at Dairy Queen and at 24 purchased the local franchise in Huntington Hills which he owned until 2009. From 2000 to 2007, he also owned and operated a local pub within that same community. 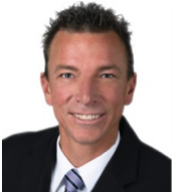 Russell is currently a Realtor with CIR Realty, enjoying a successful career helping individuals and families buy and sell the properties that their lifestyles require. It is Russell’s hope that his previous business experience, desire to help people, and personal drive prove to be an asset for the Legacy Board. Lori has a BSW and for years worked in Children’s Services with the Alberta Government. Lori is presently the CEO of the Community Development Society that focuses on seniors and aging in place in rural communities. She has been extremely successful in creating an aging in place model that has generated much interest across Alberta and in particular rural communities in Southern Alberta. Canadian born, Ryan Fields was raised in Castlegar BC. Since he was eight years old, Ryan has been immersed in the culture of hip hop. Hip Hop is a global movement and culture that values self-expression over gang violence. It is a culture that values making something from nothing. So when he heard about the Legacy Children’s Foundation he was very excited to be a part of something so important to him and the entire community - FREE MUSIC & DANCE LESSONS for kids. This has a very special place in Ryan’s heart - helping to shape youth for the better. Ryan is a true music lover of all genres. Throughout the years Ryan has also always been into fashion. In true entrepreneurial style he now has his very own underwear line called RareForm Underwear. With all these amazing talents Ryan is very excited to bring his massive energy with some new ideas as a volunteer/ board member - he knows what it takes to make a difference. Shaye has a Bachelor or Arts in Development Studies from the University of Calgary and has focussed her career on Community Development ever since. She is currently the Community Connections Coordinator at the Hillhurst Sunnyside Community Association, and has previous experience working at United Way of Calgary and Area as the Campaign Manager for Agencies. Her experience has taught her a lot about the impact that peer support, and prevention and early intervention programs have on the lives of youth and our communities. Shaye volunteers her time for organizations and people that she believes in, and is always happiest when working towards positive social change.